It is also very important to know about the things we use in our everyday life. And money is an important part of our life. We must know that the carriagees of each country are different. India's cancer is called Rupee. 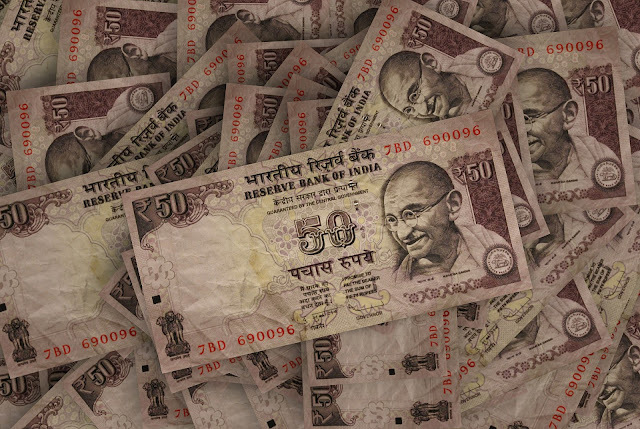 Indian Currency Notes - Notes and coins run in India as a carriage. Coins are worth Rs 1, 2 rupees, 5 rupees and 10 rupees, while notes of 10 rupees, 50 rupees, 100 rupees, 200 rupees, 500 rupees and 2000 rupees are available. Those who use to sell in the market. But do you know where the notes that are the most important part of our daily life are printed. According to the reports, the notes in India are printed in only four places - Nasik, Salboni, Mysore and Madhya Pradesh in Dewas. Because only these places have bank note press, four mint and a paper mill. While Indian coins are printed by the Indian Government, whose branches are in Mumbai, Noida, Kolkata and Hyderabad. According to the report, the first note for India was printed in 1862 by the British government by a UK firm. By the year 1920, the British government used to print the notes of India only in the UK. But in the year 1926, the British government started the first printing press in Nashik, located in Maharashtra, Maharashtra, which used to print the note. Here, notes of 100, 1000 and 10 thousand rupees started to appear. However, considering the population, a lot of notes were still being issued from the UK. After this, the Indian notes were printed in Nasik even after 1947. After that in 1975, India's second printing press was opened in Dewas in Madhya Pradesh. But two printing presses were still less according to the population. Therefore, for the first time in 1997, the Indian government started issuing notes from America, Canada and Europe due to the growing population. After that, printing press was opened in Masur in 1999 and in Salbonni, West Bengal in 1999. And now there are printed Indian notes in these places. Let us tell you that in the four printing presses of India, Bank Note Press of Dewas and Bank Note Press of Nashik comes under the Security Printing and Minting Corporation of India, led by the Indian Finance Ministry. While the press note of Mysore and Saloni is under the custody of the Reserve Bank of India, the subsidiary company of the Reserve Bank of India, Note Printing Pvt. According to the report, ink in Indian notes is imported from specially sicpa of Switzerland. Let us tell you that the company exports ink to large countries other than India. The Indian paper most of the paper is made of paper is not made in India, because India has only one paper which is Hoshangabad. Which makes paper for Indian notes and stump. Apart from this, most of the paper for Indian careers comes from the yarn, the UK and Japan. Which is 80 percent of the total paper used for making notes. According to the RTI, there is a different impedance in making every note, like 50 rupees for making notes of Rs 5, 0.96 paise in 10 rupees note. After the note is prepared, these notes are sent to 18 issue offices in the country of the Reserve Bank, which will be sent to Ahmedabad, Hyderabad, Bengaluru, Bhubaneshwar, Jaipur, Jammu, Kanpur, Kolkata, Mumbai, Nagpur, Delhi, Patna, Guwahati, Chennai, Belapur, Bhopal, Tirupavantapuram. From where they are sent the commercial bank to different branches. Many times, the wrong post and video on which the Indian notes are printed is viral on social media, which makes it very important for people to know about these things, then they will be able to escape from this kind of Fake News.